We are a troll-only on Argent Dawn EU for trolls with ferocity and intelligent zealotry from all tribes. Within the city of Zul'Gurub they work to unite the remainder of trollkind to ensure its survival and grant the Loa the worship they deserve. They to aim explore the diverse, rich and sometimes clashing cultures and beliefs of those who are left of the great troll empires, providing an alternative for following the Dark Prophet Zul, the blasphemous heretic that has brought nothing but death and misery onto their kin. Founded in 2013, the guild was originally named 'Zandalari Empire' after the Zandalari's efforts to reunite the trolltribes. 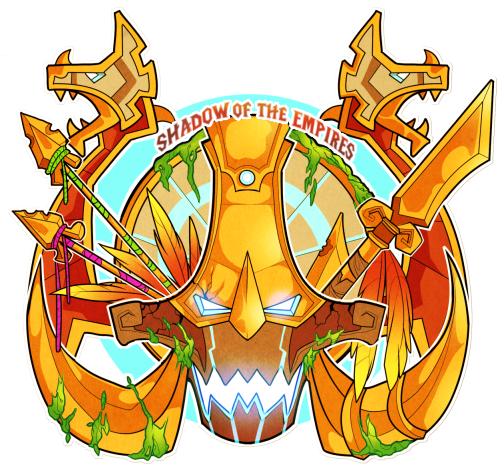 With the release of BfA in 2018 and the meaning of the Empire in this expansion, we found this name to be no longer suiting, and are now known as Shadow of the Empires. Enjoy your stay!